Amy's Untried Jan Day 12 and Nail Art Jan Day 11 both call for recreating another's manicure. 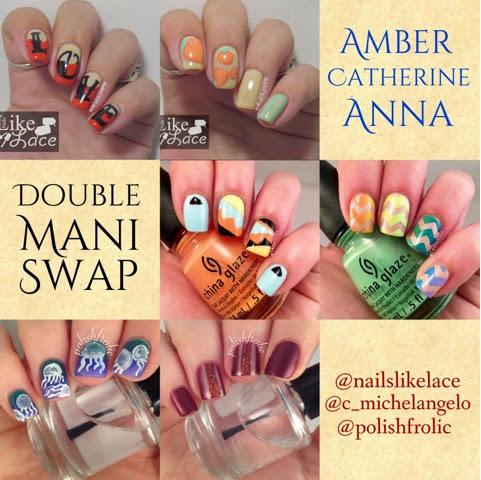 So Anna, Catherine, and I decided to do a double mani swap! 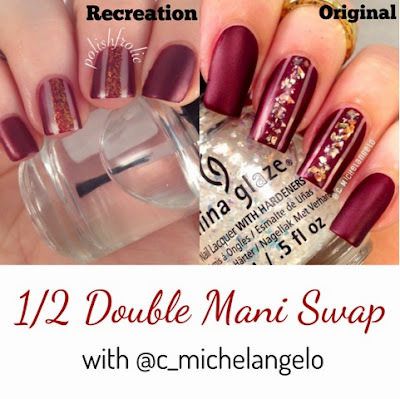 I recreated a mani from each of them, and they each recreated two manis. First up, my recreation of Catherine's LOVE tattoo nails. For my mani, I used Zoya Tasha as a base, with Sally Hansen All Fired Up on the tips. 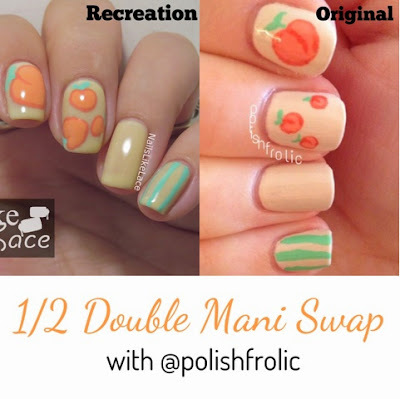 My second recreation was of Anna's stripey peaches mani. Again, I used Zoya Tasha as my base. 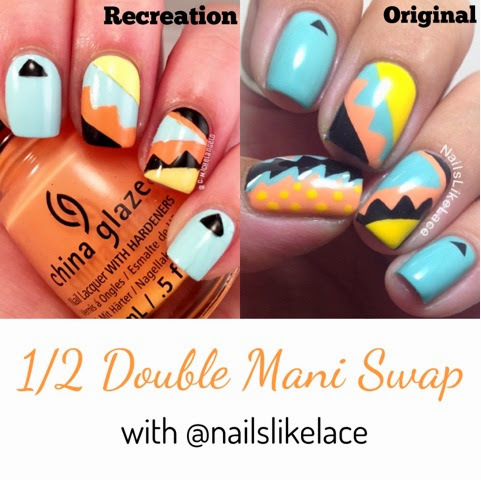 I created the peaches with China Glaze Peachy Keen (appropriately), outlined them with China Glaze Mimosa's Before Mani's, and used Essie First Timer for my mint green. 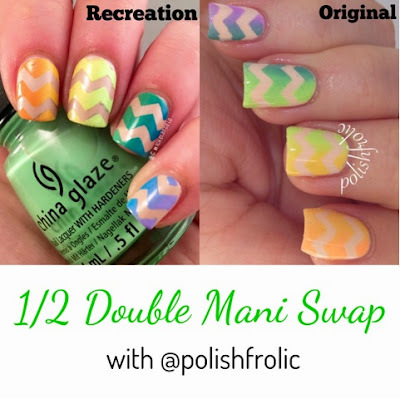 Catherine recreated my geometric tribal mani and Anna's rainbow chevron nails. 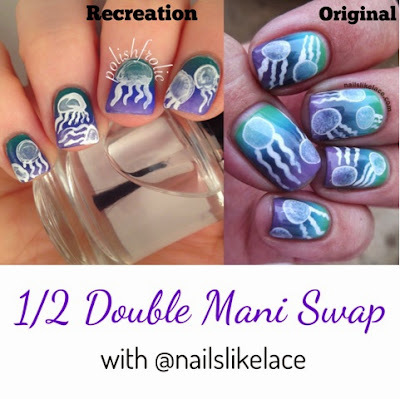 Anna recreated my jellyfish mani, and Catherine's stripey maroon nails. 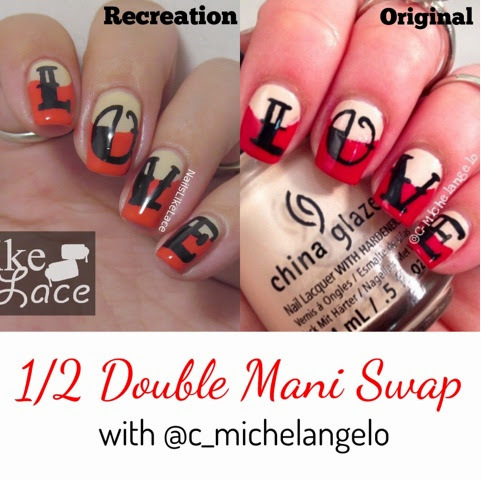 It seems like a slight bit of a jumbled mess, but this was so much fun to do! !